Portfolio — Albritton Williams, Inc.
After completing a new sanctuary for Bradfordville First Baptist Church in 1997, the Church called on AW to be the Construction Manager for their new building program in 2004. Their plans called for the construction of a new Sanctuary that would seat 1,300 people. Construction of the 38,500 sf facility was completed in June 2006 at a cost of $7.6 million. During construction of this new Sanctuary, AW began construction of a new Education Building for the Church. The 3 story, 30,700 sf building was completed in Dec 2006 at a cost of $2.9 million. In 2017, the Church reached out to AW with plans to build a new 6,000 sf Administration Building. Plans have recently been completed and final pricing is underway to provide a price for the Church’s approval. AW has been and continues to be the go to CM for Bradfordville First Baptist Church. AW has become FSU’s select Construction Manager to call on when a project comes up at the NHMFL. With special requirements focusing on Safety and coordination with on-going experiments, the Lab prefers a CM with experience working at the facility. AW has the experience, as well as a proven track record working with the Safety Department at the Lab. While AW did not build the original facility which houses the NHMFL, we have competed over nine projects at the facility over the past 10 years. These include upgrading the Fire Alarm System for the entire facility (440,000 sf), three (3) separate additions, two (2) interior renovations, new roof (100,000 + sf), and replacement of the HVAC systems in one area (22,000 sf). Together, these projects total over $7 million of work AW has completed at this facility. AW is currently in discussion with FSU on two additional project at the NHMFL. In 2013 FSU called on AW for a unique project at the Keen Building on campus. This 7 story structure was experiencing a failure of the exterior wall panels. These panels needed to be removed and a new exterior skin installed on the building. And this needed to be accomplished with minimal disruption to the occupants in the building. AW was successful in completing this phased project, which involved relocating some of the building occupants, removing the panels from one side of the building, installing the new glass wall systems, moving the occupants back to their spaces, and starting this process again on the next side of the building. The project was completed in 7 months at a cost of $1.87 million. Since that time AW has been responsible for five other projects at the Keen Building including renovating the 7th floor, replacing most of the HVAC equipment in the building, and reworking the plaza around the building. AW has been working with Leon County Schools since the late 1940’s. Our first project with the School System was construction of the Southside School (as it was known at the time). This school was later name Wesson Elementary and AW was involved in a major renovation project at the school in 1992. In 1996 completed the Hawks Rise Elementary School, a new 73,000 sf facility, at a cost of $6.2 million. Since that time AW has worked with LCS on numerous projects as the CM including a $2.2 million addition at Fort Braden School, renovations at Sealey Elementary, Sabal Palm Elementary and Apalachee Elementary (another school which AW built in 1969) and Everhart School. AW has just started a Site Improvement project at WT Moore Elementary, scheduled to be complete by the end of 2018. This $1.9 million project includes a new storm water pond, extensive storm drainage systems, expanding the north parking / drop off area, and reconfiguring the bus loop. In May 2017, AW was called on by FSU to be the CM on a renovation project to house their MultiDisciplinary Center (MDC). The project needed to be completed as quickly as possible and with the Design Team being brought in with AW in May, the challenge of completing the new space by Jan 2018 was underway. Plan development began and proceeded as quickly as possible. 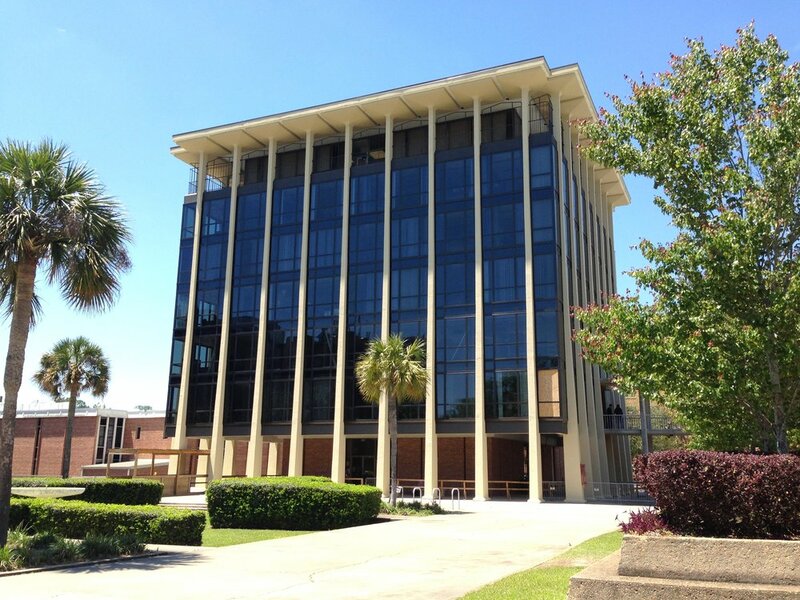 FSU then added a requirement that a new Fire Alarm system and a new Fire Sprinkler system be included in the project. These systems would cover the entire 35,000 sf building, including some areas that were occupied, while the MDC project would only build out 7,000 sf of the space. Fast tracking the construction, AW began work on the Fire Alarm System and the Fire Sprinkler System, as well as demolition in the area to be renovated to the MDC in late Sept 2017. Construction of the new space began in mid October, and AW was successful in completing the work for MDC to occupy the space by January 15, 2018, slightly ahead of schedule. This $1.3 million project is another example of AW’s dedication to completing all projects on time and under budget.